A new report shows the National Aquarium in Baltimore is not just a nice place to take your family—it's a major economic engine for the city and the state of Maryland. 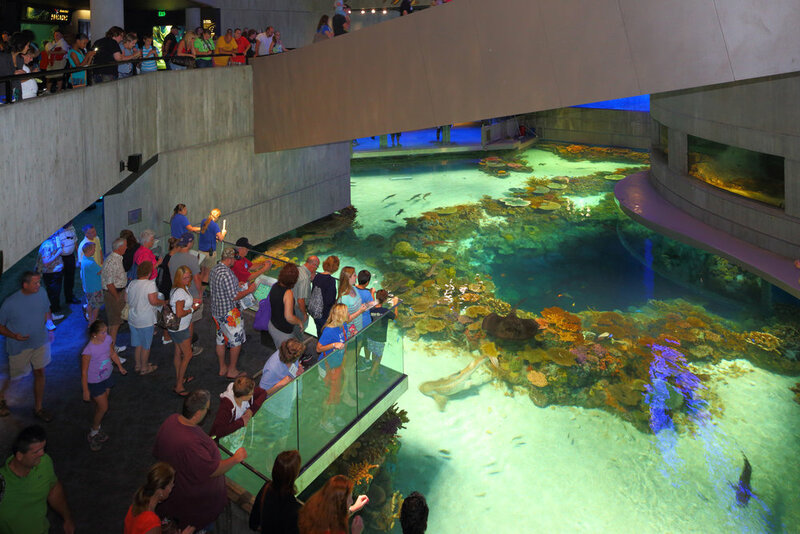 The report by Sage Policy Group finds the Aquarium generates $455 million in economic activity across Maryland, and supports more than 4,500 jobs. In Baltimore City alone, the Aquarium generates more than $360 million in annual economic activity and approximately 3,900 jobs. It also supports more than $20 million in tax revenue for the State of Maryland. In 2016, the Aquarium saw 1.3 million guests, and about five out of six visitors are from outside the Baltimore region. Nearly one-third stay overnight in the area, generating revenue for hotels and restaurants. “The National Aquarium is an important pillar for our state’s economy, supporting jobs, tourism and revenue,” said Mike Gill, Secretary, Maryland Department of Commerce. The Aquarium plans to expand its impact even further with new projects in Baltimore, including an Animal Care and Rescue Center currently under construction. Here, guests will get to see behind-the-scenes work as animals are rescued and quarantined. The center is expected to bring 160 new jobs. “We are proud to be a longstanding economic driver for the City of Baltimore and the State of Maryland, expanding our ability to strengthen communities and inspire conservation,” said John Racanelli, National Aquarium president and chief executive officer. To read more about the Aquarium's economic impact study, click here.